There is no doubt that hardwood is the most ideal flooring for indoor spaces. It is warm on the feet and looks rustic, timeless and elegant. The only reason one will not consider hardwood is its expensive price tag. But don’t worry if you are one of those with a limited budget. There are other great alternative flooring materials that you can choose from. Your other best option is laminate flooring. It provides all the benefits of hardwood flooring but costs cheaper to install. It is also a versatile flooring material and easy to install. Laminates must be installed by qualified professionals to avoid costly mistakes in the installation process. And here at Moriarty Floor Covering, Inc., we offer expert installation of laminate flooring for residential and commercial properties. Rest assured that every laminate that is installed on your property is of the highest quality. We have been serving Bloomington, Harrodsburg, Kirby, Unionville, Ellettsville, Cincinnati, Hendricksville, Whitehall, Bedford, and Springville, IN. Call us now at (812) 824-5555. Affordable. Hardwood is made from solid wood while laminate is composite wood that was pressed together with a hardwood image on top. So it’s definitely cheaper. Durable. With the use of modern manufacturing method, laminates are now more durable and resistant to wear and tear, moisture, and scratches. Easy installation. Laminate is sized and cut uniformly so installation is super easy. As a result, you will be able to save up to 50% on installation costs. Easy maintenance. 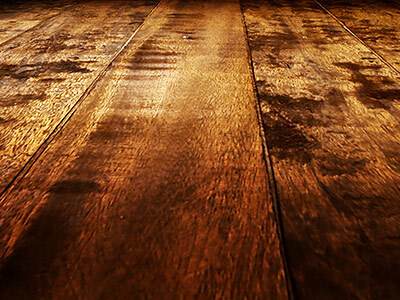 Laminate flooring is easy to clean and doesn’t need waxing or polishing. All you got to do is dust, vacuum, and wipe. Great design options. The great thing about this material is that it is available in a wide range of designs. The designs range from redwood, pine, bamboo to unique patterns. Healthy. This flooring naturally resists growth of bacteria and mold. Unlike hardwood, it can be treated with allergen-resistant substance and coated with anti-bacterial products. Tarkett. This company is known worldwide as a provider of top-quality flooring materials and sports surfaces. It’s been in the business for 130 years. Timeless Designs. It provides varied flooring materials such as solid hardwood, luxury vinyl planks, engineered hardwood, luxury vinyl tiles, ceramic tiles, laminate tile flooring, and carpets. Shaw. This company is one of the leading flooring suppliers in the country. For more than four decades, it has been offering top-quality carpets, hardwood, laminates, and rugs. Armstrong. Another trusted company in the flooring industry is Armstrong. It offers a wide variety of flooring materials - from exotic hardwood to unique-looking laminates. Laminate flooring is often marketed to DIY’ers because it is easy to install. But installing it requires more than just putting the planks like puzzle pieces. Preparation of the surface and use of special tools and equipment are required. You need professionals to do the job for you. And the best company to hire for this job is Moriarty Floor Covering, Inc. We’ve been doing all types of flooring installation since 2002, so you are guaranteed with top-notch installation services. Call us now.